Practice Area: Great place to practice all facets of your game. Grass tee driving range. Chipping green with sand bunker. Large putting green. Description: This residential course is located just off I-485 in the Matthews-Mint Hill area. Several holes can be seen from the highway as you drive by. Fun course to play with different types of challenges -- water, tight fairways, length, doglegs and bunkered greens -- evenly sprinkled among all 18 holes. Notes: The Divide came under new management in 2014 and memberships & discounts can now be shared across its former sister courses in the old Carolina Trail -- Highland Creek, Tradition, Highland Creek, and Waterford. With the turnover in ownership, the course conditions here have suffered. My last few rounds here had several issues - so look for a recent review or keep your expectations low when you make a tee time here. B-Man's Take: Another course I grew to like once I got to know the nuances -- such as where you can hit driver off the tee and where you should play it safe. The course has a very good mix of easy and difficult holes, but overall to score well you'll have to keep your tee shots in play. My favorite holes are the 501yd par 5 5th hole, reachable in 2 with a good drive, and the 568yd par 5 18th, the signature hole with an approach over water. 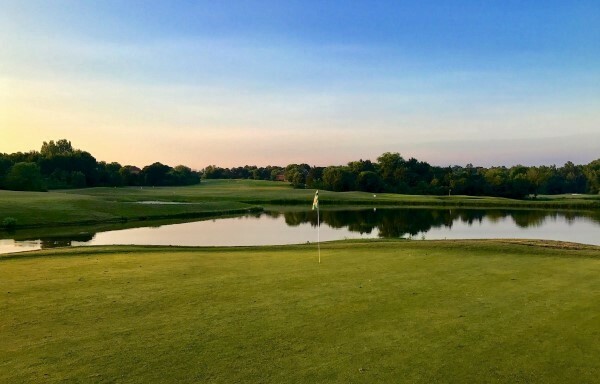 The course can play tough too, so there are hell holes here and there, including the 414yd par 4 4th hole, with its narrow fairway, and the 185yd par 3 7th from an elevated tee over water (choose the right club! ).